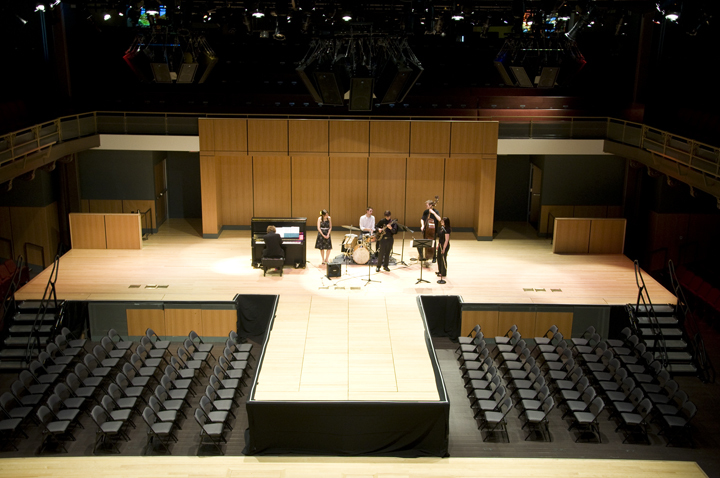 The 1200-seat Lew Klein Hall is adaptable for a wide variety of events and performances, including concerts, dance and theatrical productions, commencement ceremonies, academic symposia, public speakers, readings, film and video presentations, and live broadcasts. The sweeping grandeur of its high ceilings and magnificent stained glass windows make it the perfect setting for private celebrations and corporate events. The stage extends into the Hall, bringing programs and performers closer to the audience seated on three sides. 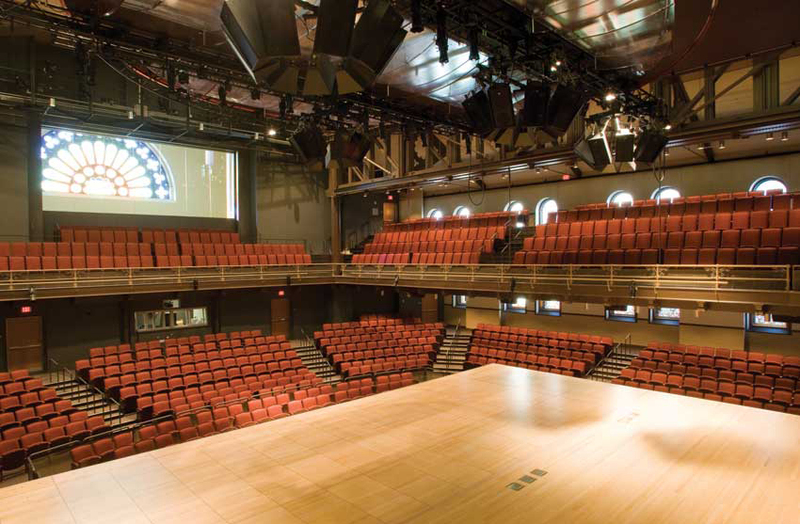 Lew Klein Hall is equipped with the latest projection, lighting and audio technology to support a variety of performers and audiences. Interested in booking TPAC for your next event? Please submit a Request for Space and Services.